Bring the milk and water to a rolling boil in a saucepan. 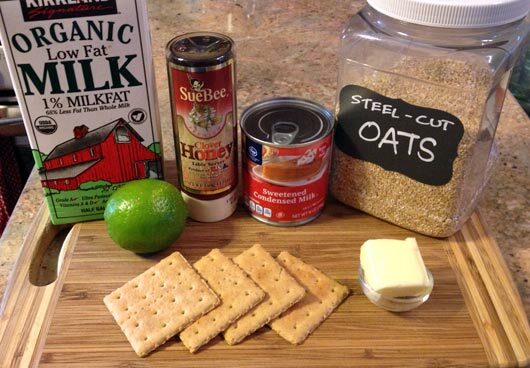 Add the oats and allow to boil for 1 minute. 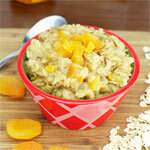 Reduce heat to a simmer and cook 30 more minutes - stirring every 10 minutes. 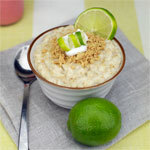 Remove oatmeal from heat and stir in lime juice, condensed milk, butter and honey. 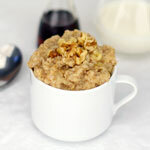 Transfer oatmeal to a bowl and top with crushed graham cracker. 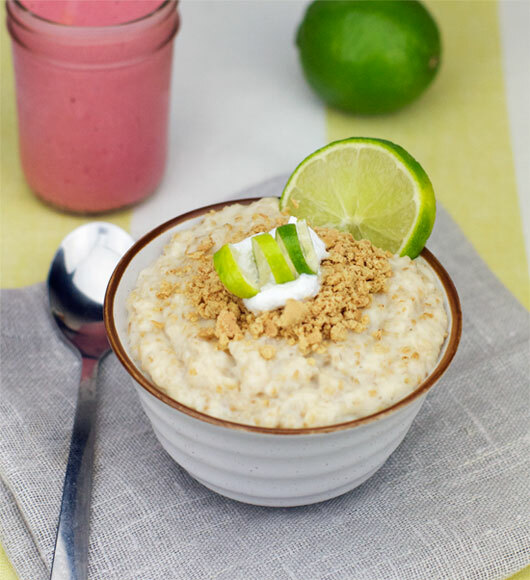 If you like lime and you like oatmeal, you're gonna like this lime oatmeal! Tastes like key lime pie! 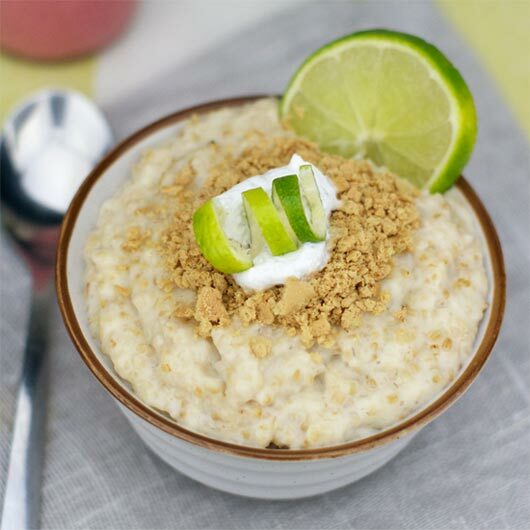 What do you think of Key Lime Pie Oatmeal? 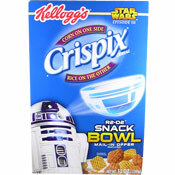 As I was cooking this, I wondered if the lime juice would curdle the milk... it did not, but I did add a ton of brown sugar, more honey, cinnamon, and golden raisins. Also added cinnamon to the topping mix which leaves out butter as the binding ingredient. It came out okay, but not sure I would make it again. 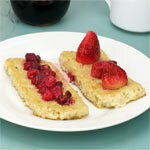 I do not see how this makes a "crumble"?